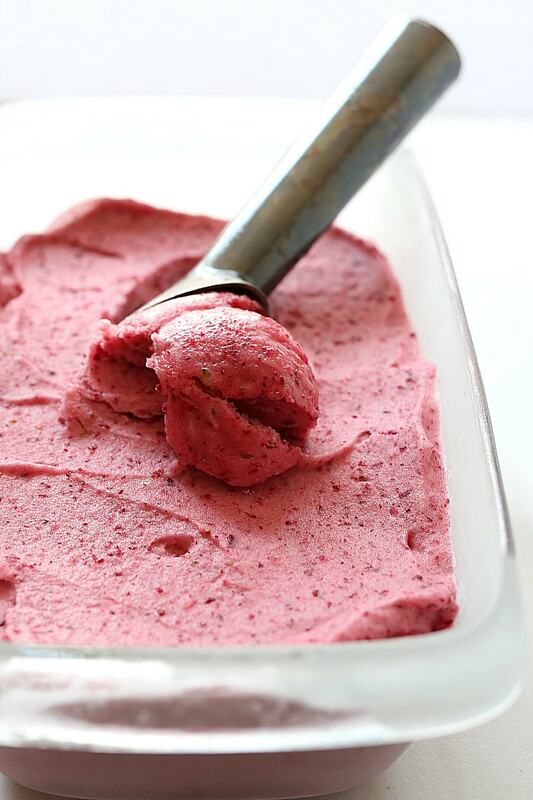 This healthy cranberry ice cream is sure to soothe a sweet tooth craving! 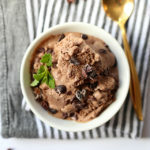 The berry’s bittersweet taste mixed with sweet frozen bananas and topped with (vegan) butter rum chocolate sauce is a healthier way to enjoy a frozen treat! 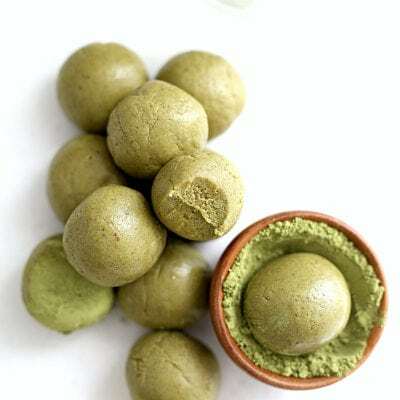 It is blazing hot across the country and the only thing on my mind these days is ice cream! 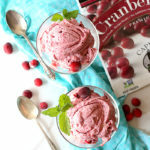 To refresh and cool try this healthier cranberry ice cream recipe made with only 3 plant-based ingredients! 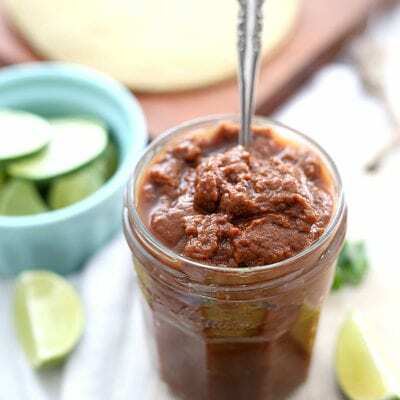 Then top it with the most decadent (vegan) butter rum sauce full of zesty orange and melted chocolate flavors. 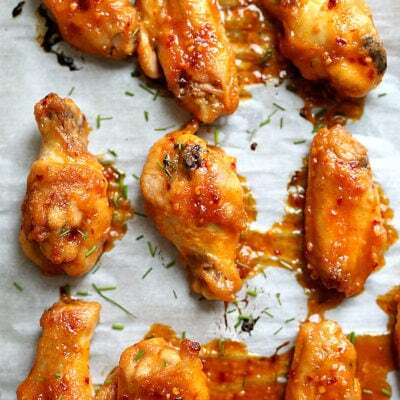 This sauce is also amazing on pancakes, bread puddings and other savory sweets. I promise it doesn’t disappoint! 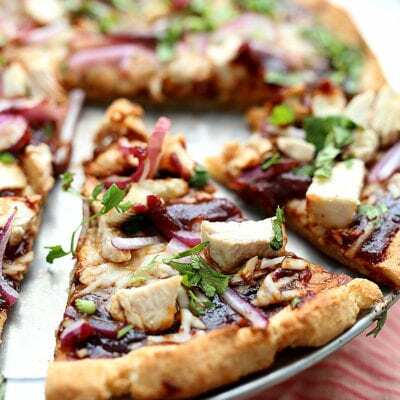 Although if your are watching sugar and alcohol, you can totally skip the sauce or just add a drizzle. Here is a fun fact about me. I am a Jersey girl by birth uprooted to California thanks to college. New Jersey is the third largest producer of cranberries and growing up we would go on school and family trips to the Pine Barrens to see the cranberry farms. When I was about 10 I remember taking a bus down long sandy roads lined with pine trees around huge bodies of water. When we would get to the cranberry bogs we had the opportunity to put on water boots and trek into the water to pick our own cranberries. If you ever have the opportunity to spend a day doing this, I highly recommend it! That was about 26 years ago and I still remember it so vividly?. Cranberries are grown in the Northeast in Wisconsin, New Jersey, Massachusetts, and Washington. They grow on large long vines in sandy bogs and marshes. When you pass these marshes, you will see thousands of red berries floating on the top of the water. Cranberries are most commonly noticed filling grocery stores around Thanksgiving and Christmas holidays, but they can also be found in the frozen section year-round. Frozen cranberries are convenient for making fillings for pies, cranberry sauce, smoothies and ice cream. Good thing because ice cream is totally acceptable year round! Plant based milk such as cashew milk, coconut milk or almond milk. 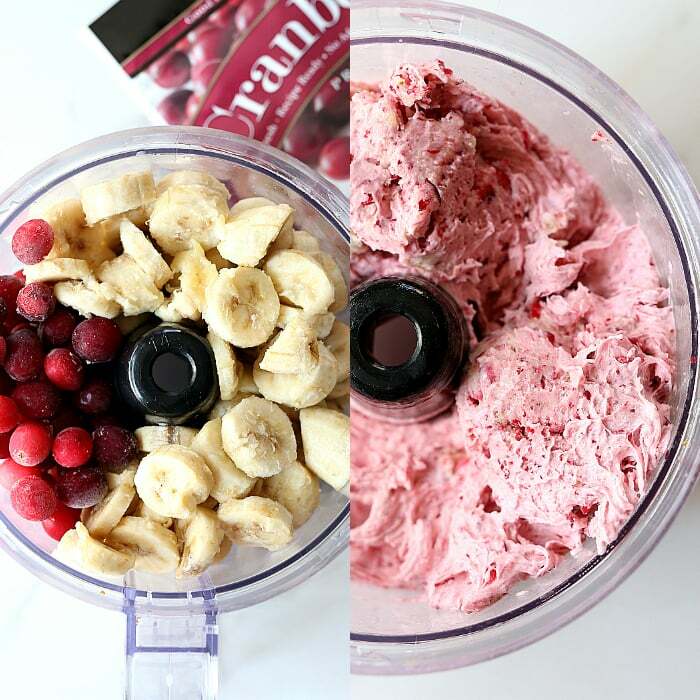 Using a food processor add the frozen cranberries, bananas and milk together and blend until desired consistency is reached. For a chunkier ice cream, blend less time. This will also make the color lighter and pinker. For a smoother texture blend until no visible chunks are present. 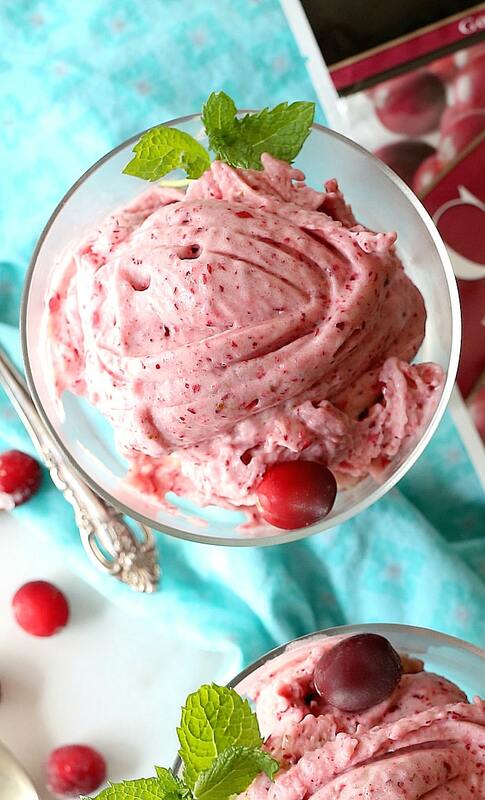 You can serve this cranberry ice cream right away for a “soft serve” version. Or pour the ice cream mixture into a small pan or dish with a lid, cover and freeze for 2-6 hours. If you are serving it at a later time, let the ice cream set out for about 10 minutes to soften before scooping. The above picture is the ice cream blended extra long for a smoother more vibrant color and frozen for 6 hours. 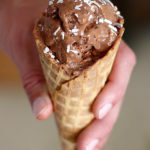 In my opinion, both chunky and creamy or soft serve and hard are all delicious! 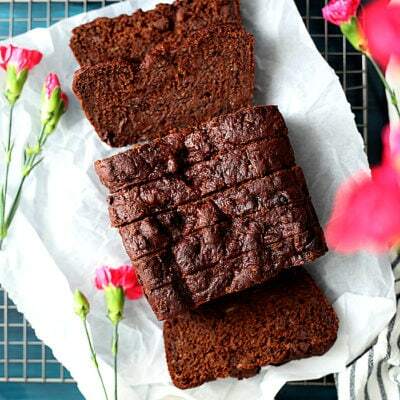 To make the butter rum sauce: In a medium or small saucepan add dark rum, maple syrup and butter. Let it start to boil for about 3-4 minutes. 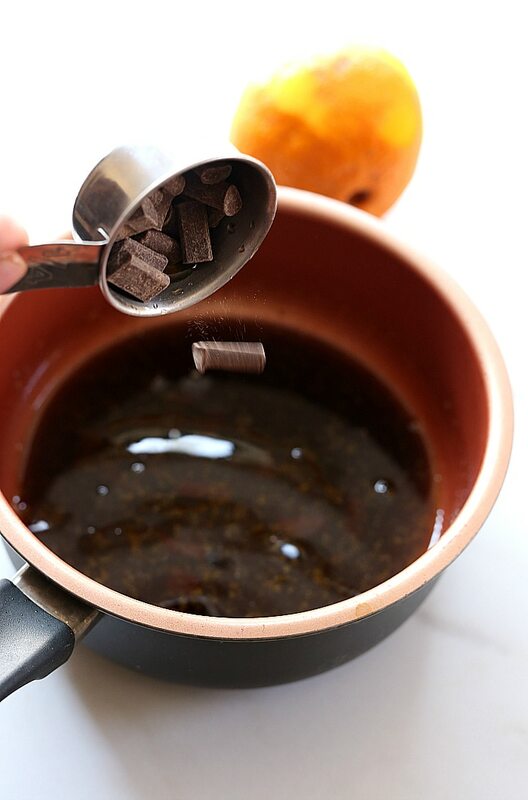 Turn the heat off and remove from the stove then add dairy-free chocolate morsels and orange zest. Mix until the chocolate is melted. 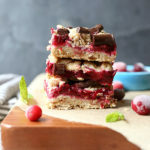 The chocolate sauce can be stored in the refrigerator until ready to use then drizzle on top of the cranberry ice cream. Cranberries are most popular turned into Craisins, cranberry sauce, cranberry chutney, and cranberry juice. 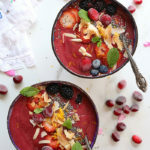 Now you can enjoy these tart fruit berries as a healthy cranberry ice cream “nicecream” treat without using an ice cream maker?. 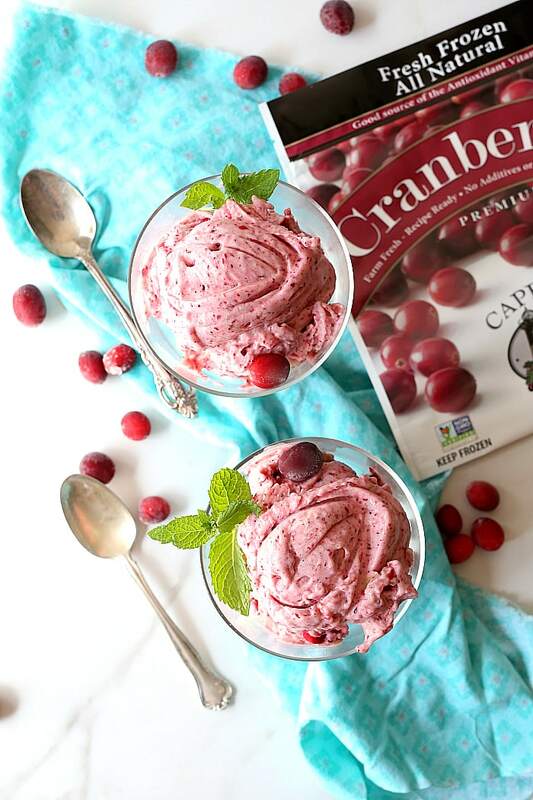 This cranberry ice cream is sure to soothe a sweet tooth craving! 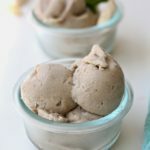 The berry’s bittersweet taste mixed with sweet frozen bananas and topped with (vegan) butter rum chocolate sauce is a healthier way to enjoy a frozen treat! In a food processor add the frozen cranberries and bananas. Puree on high and start to slowly add the almond milk through the top. Puree until it is smooth and creamy. For soft serve eat it right away. 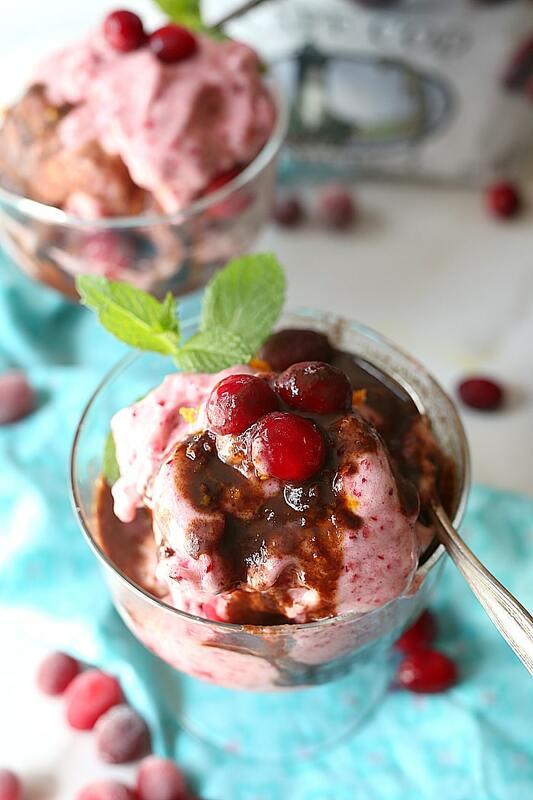 For harder ice cream and for later: Pour the cranberry ice cream into a glass container with a lid and smooth out. Cover and let it freeze for 2-6 hours before eating. If the ice cream is hard to scoop let it set at room temperature for 10 minutes. In a medium saucepan add the rum, maple syrup and butter. Turn the heat to high and boil for 3-4 minutes. Turn the heat off and remove the pan from the stove. Add the orange zest and chocolate chunks and whisk until the chocolate has melted. Store in the refrigerator until ready to use. Serve warm or chilled. 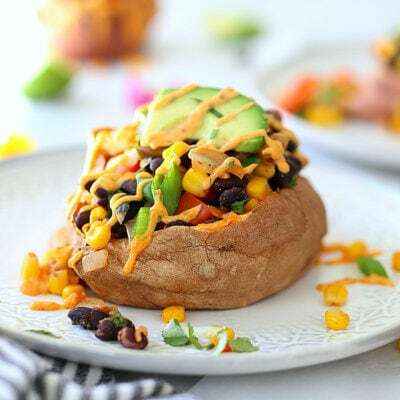 If you make this please tag me on social media #delightfulmomfood @delightfulmomfood – love to see what you are making!